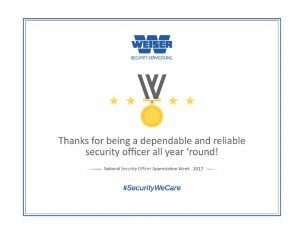 National Security Officer Week Sept 17 - 23, 2017 - Weiser Security Services, Inc. In 2015 National Security Officer Appreciation week was established. Every third week of September is an opportunity to demonstrate your appreciation to the security guards that surround you. Thanks to them, you and your family live and work safely and securely knowing that you are in safe hands. Please join us in celebrating the second annual National Security Officer Appreciation Week, from September 17 to 23. Show your security guard that you care! 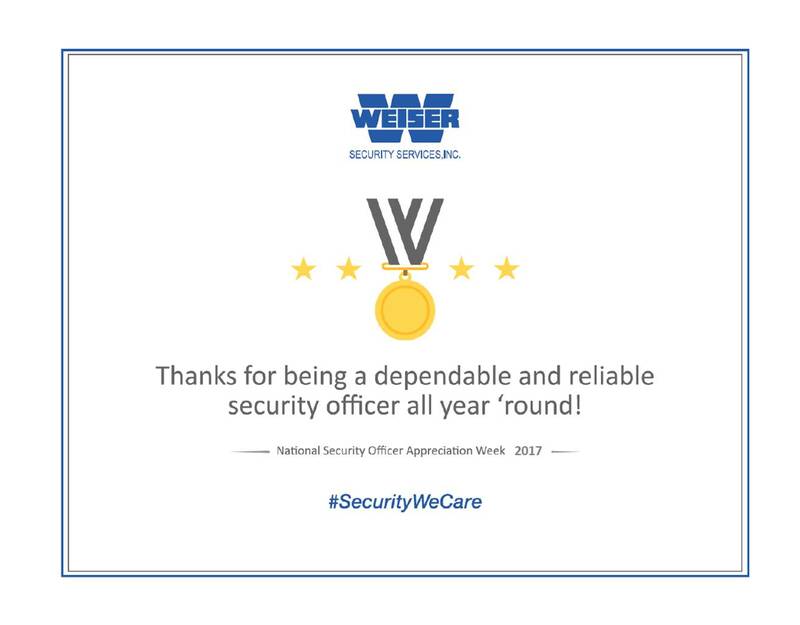 Download and print the certificate below to present to your Security Officers to show your appreciation. Post their pictures on social media using #SecurityWeCare.